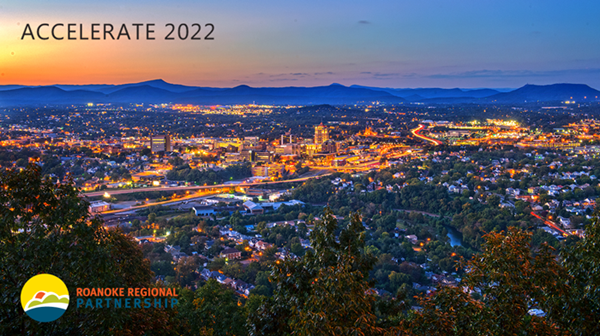 When the Roanoke Regional Partnership announced the Accelerate 2022 fundraising effort, it included four key strategic areas for the organization’s program of work over the next five years. The plan builds on the program of work adopted in 2012 that took the region to a higher level, creating over the past five years 3,305 primary jobs, 3,459 secondary jobs, $501 million in investments, annual consumer expenditures of $192 million, an increase in per-capita income by nearly 12 percent, and an increase in annual inquiry activity of 27.9 percent. Almost all metrics wildly exceeded goals set in 2012. The Partnership completed a strategic planning process in 2016 to assess the region’s competitive position and match its program of work to the opportunities and challenges of a competitive, global economy. Business and government leaders helped build the plan. Here’s a deeper look at the Targeted Marketing part of the plan. Ensure the outdoor recreation and livability narrative is the foundation for the partnership’s marketing activities for talent, jobs, and investment. Continue to invest in strategies and tools that ignite the outdoor recreation and livability narrative. Launch an internal marketing campaign to boost resident engagement in the outdoor narrative. Strengthen the position of the Roanoke Region as a competitive business location. Target niche sectors such as transportation equipment, electrical/electronic components, food and beverage, recreation equipment and services, and life science. Include and focus on entrepreneurs in marketing messaging. Build on the successful Gatekeeper Strategy for business development activities through relationships with national consultants, brokers, and the Virginia Economic Development Partnership. Execute highly targeted campaigns that leverage on assets of the region such as water users and outdoor industry-related operations. Do you want to know more about the five-year strategy or how an investment in the Roanoke Regional Partnership can work for you? Contact us to learn more.